Conditions looked good again this morning with the river settled at a good height. 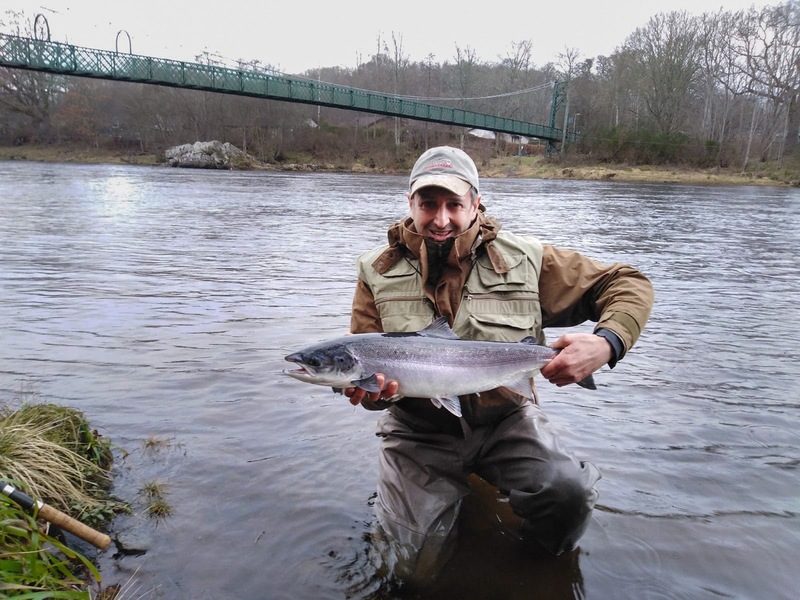 We had a quiet morning but a fish eventually came early in the afternoon: Steve Dora was the successful angler landing a nice fish of 8lbs on the fly from Port-na-Craig bank. With settled weather forecast to continue prospects for next week look excellent.